We’re proud to announce LEKI USA as a new partner in our Trail Ambassador program presented by CamelBak. LEKI USA makes innovative carbon and aluminium trail running poles with fixed length, folding and variable length models available. 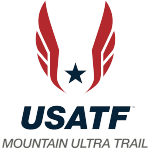 LEKI USA joins CamelBak, adidas Outdoor, CEP Compression, Health I.Q., and OrthoLite as a partner in this second-year American Trail Running Association program, which honors outstanding individuals in their trail running community. Each month an ambassador will be chosen form a pool of nominees who represent the best of the best in the trail running space. These honorees build community locally, regionally, or nationally, and make an impact in the sport as a coach, volunteer, writer, photographer, steward, or race director. Eleven states were represented among the 12 honorees in 2017, whose ages ranged from 17 to 59. The chosen ambassador receives product from program partners and is featured in the Trail News section on its website, with the story and photos shared through social media. Nominations are now being accepted for the program. 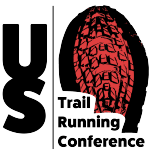 Contributions such as constructing or repairing trails, introducing young people to the sport, writing a column about trail running for a local newspaper, directing a trail race series. The list is endless. Become an ambassador today and share your good work with others. 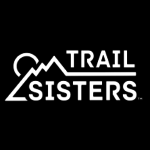 If you know of a deserving individual, send your nomination to nancyhobbs@trailrunner.com, and evemills14@gmail.com, and include your name and contact information, the name, email, and phone contact for your nominee, and up to 1000 words about the nominee’s contributions to his or her community related to trail and mountain running. Founded in 1948, LEKI is a leading manufacturer of Skiing, Trekking and Trail Running poles and gloves, and its latest addition of folding camp chairs and tables. LEKI products are German engineered with most of the products being made in the company’s Czech Republic factory. This in conjunction with extensive research and independent testing make the best products featuring quality, value and technology. LEKI USA, Inc., headquartered in Buffalo, NY, is the sole distributor of LEKI brand products in the United States. For more information please visit leki.com/us/ or call 800.255.9982.